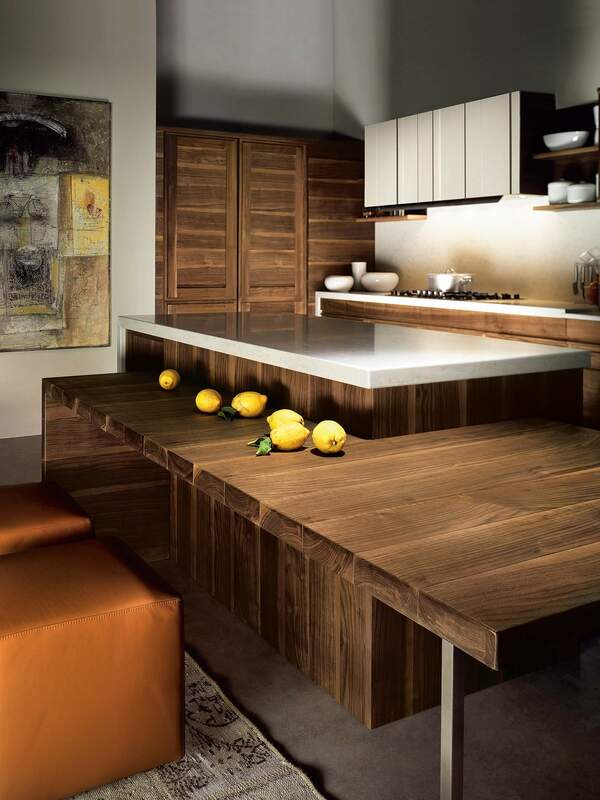 A wooden kitchen with a modern warm touch. 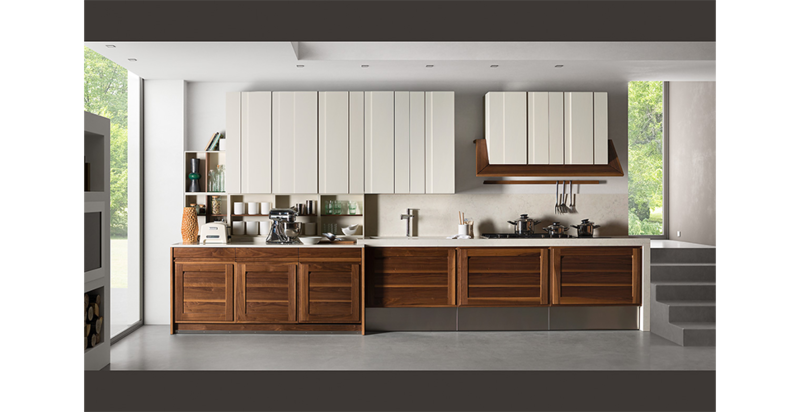 A modern kitchen, rich of character and personality, with wooden doors and drawers and no external handles. 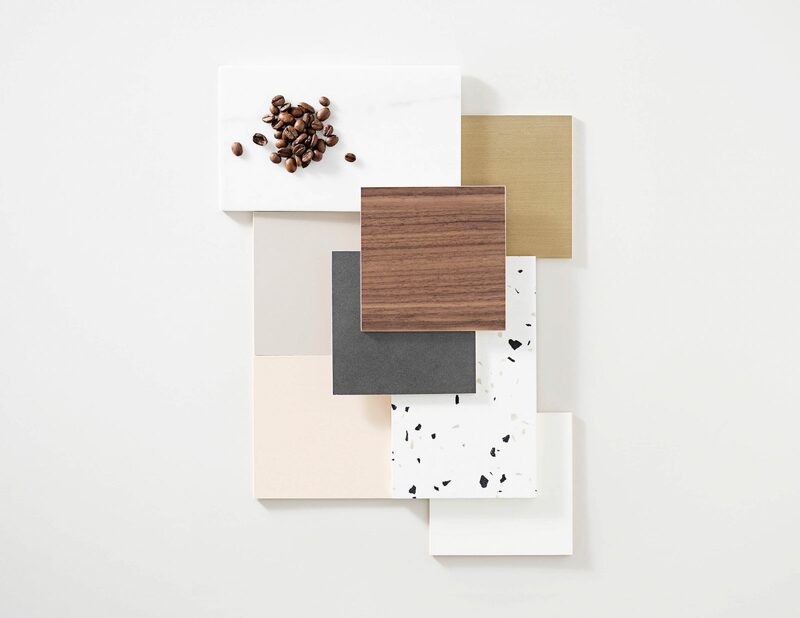 Walnut wood, manufactured with wide proportions and sleek shapes, becomes indisputable protagonist of any project with its full natural beauty. 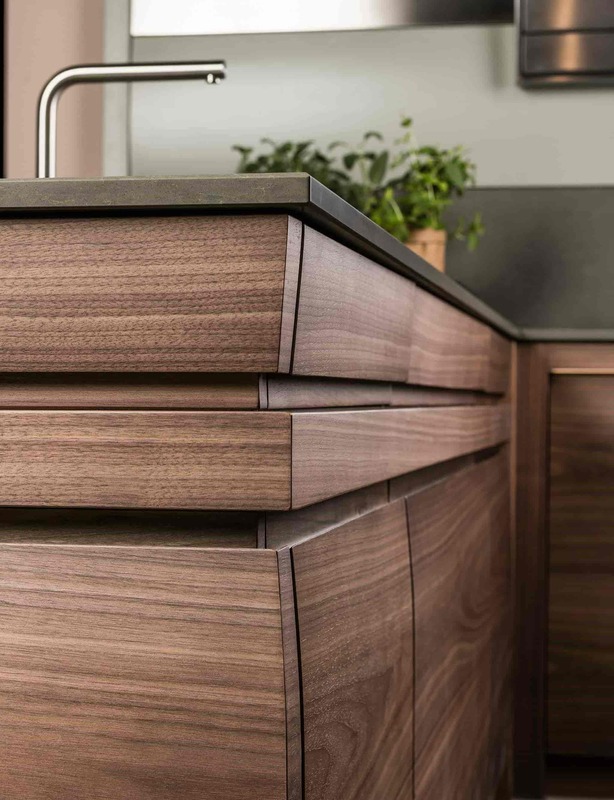 The integrated handles project, directly realized on the wood of drawers and doors, enhances the handicraft ability and highlights the wood of Canaletto kitchen. 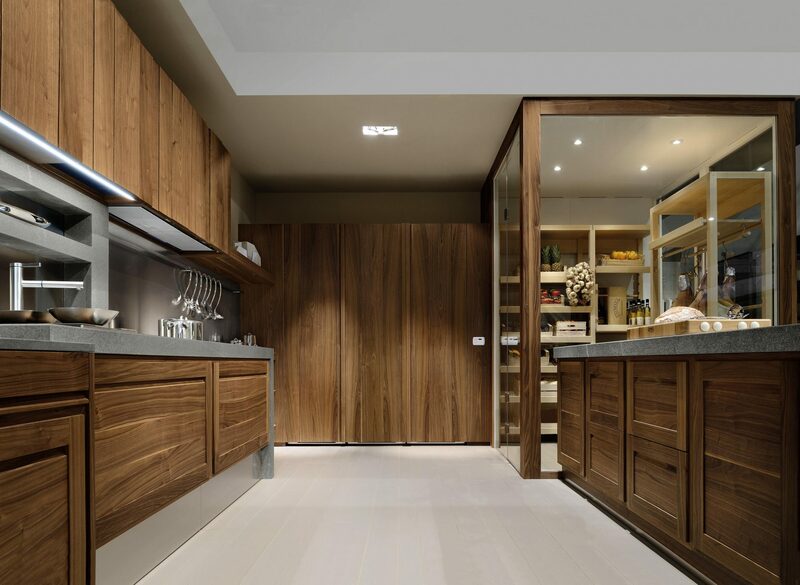 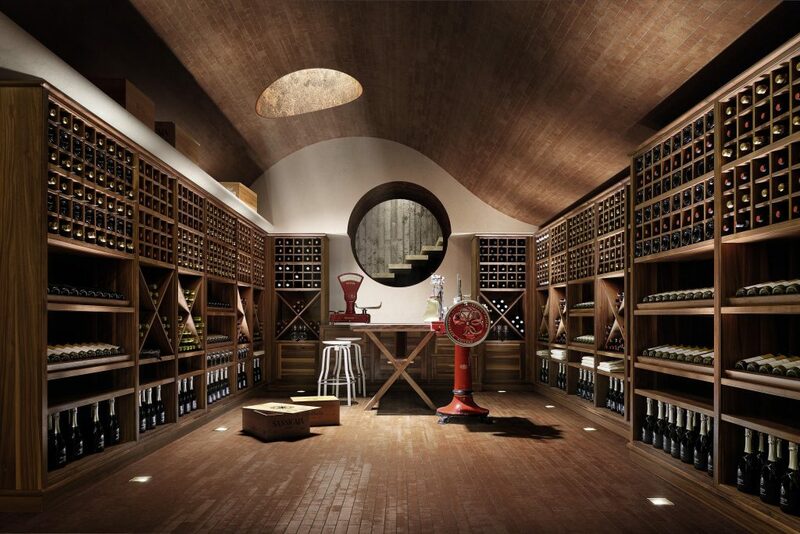 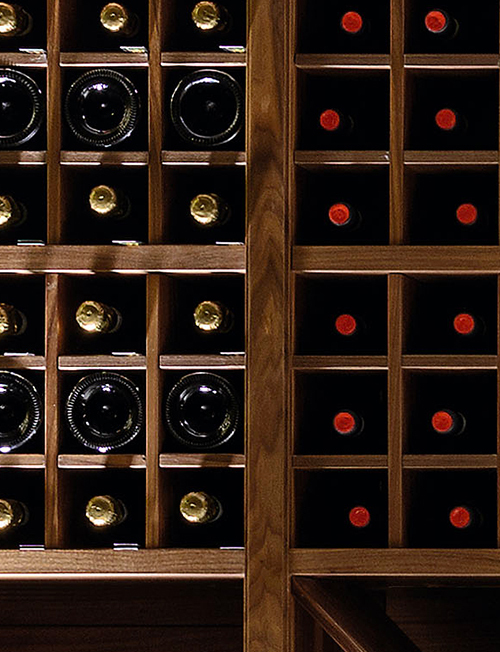 The kitchens of Canaletto collection show a great design versatility: kitchens with island or peninsula meet original solutions which include tables coordinated with chairs, Calendario open compartments and real technologically advanced wine cellars. 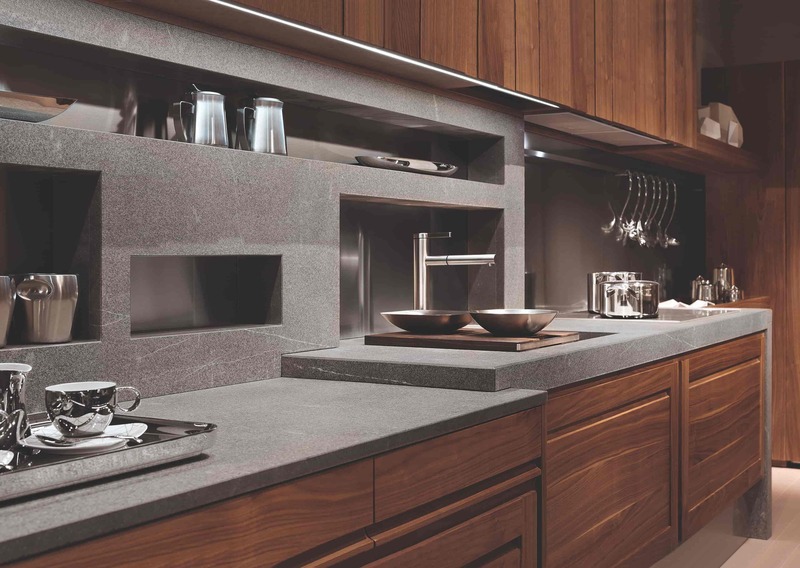 Creativity and functionality meet aesthetic in any Canaletto proposal to celebrate kitchen and living excellence. 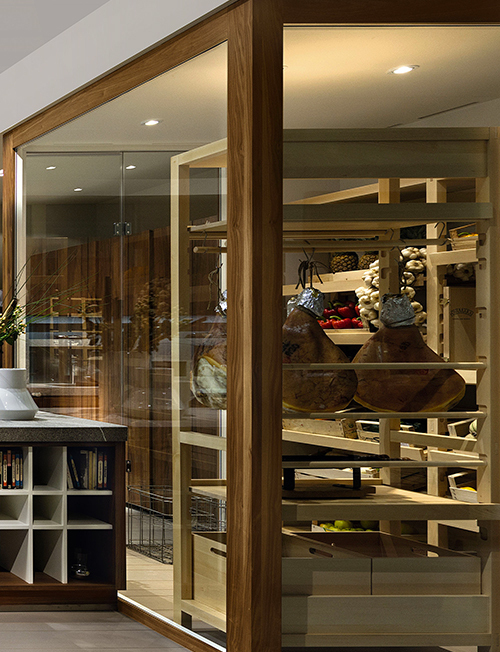 Wooden framework doors, realized with integrated opening handle, enhance the contemporary spirit of Canaletto kitchen highlighting Italian manufacturing. 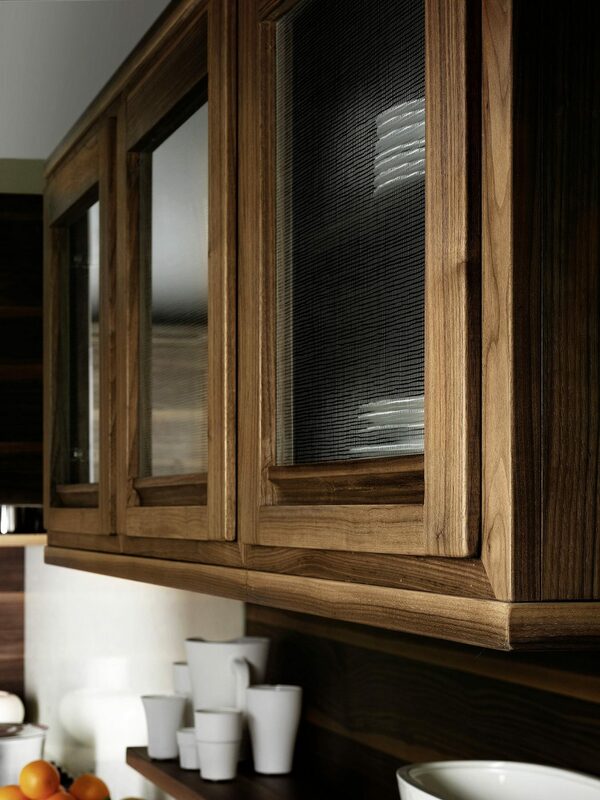 Silky finishing gives walnut a soft embracing sensation showing the delicate veining of the wood. 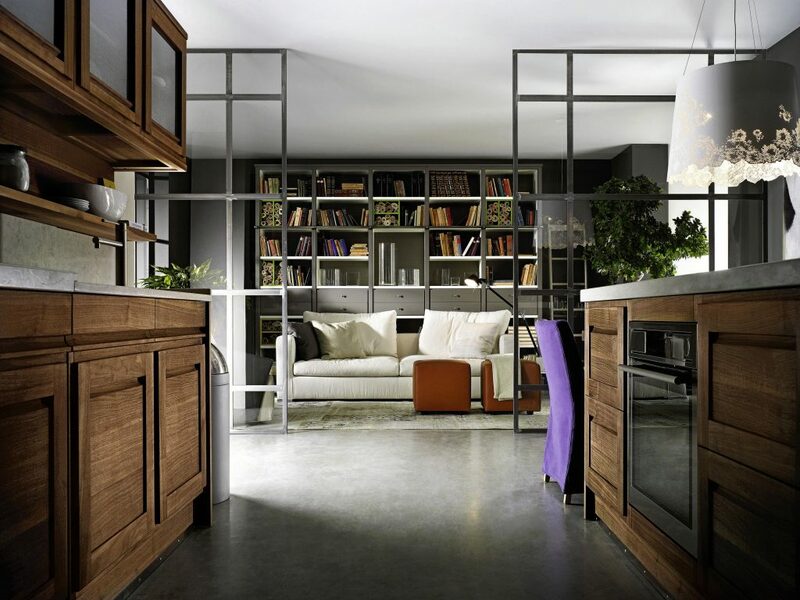 The wood expresses its full natural beauty giving the house warmth and elegance. 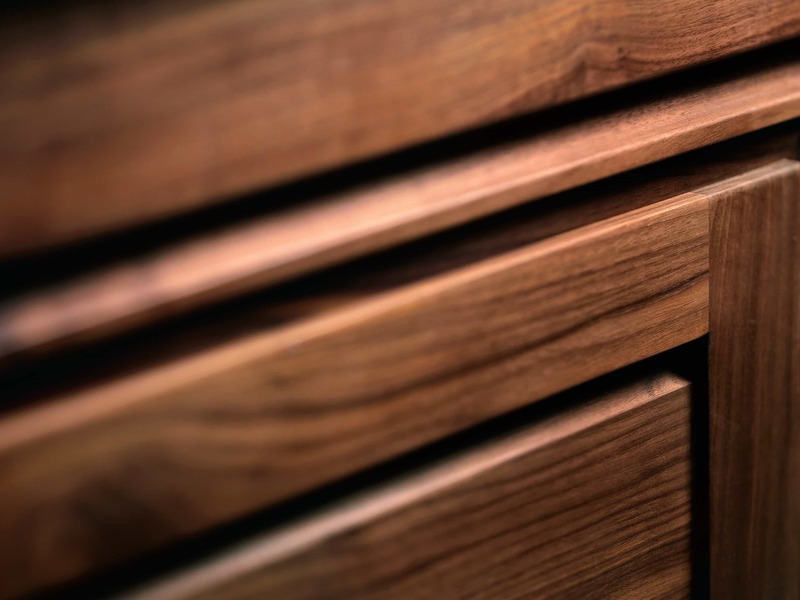 The shuttered doors in walnut are 3 cm thick. 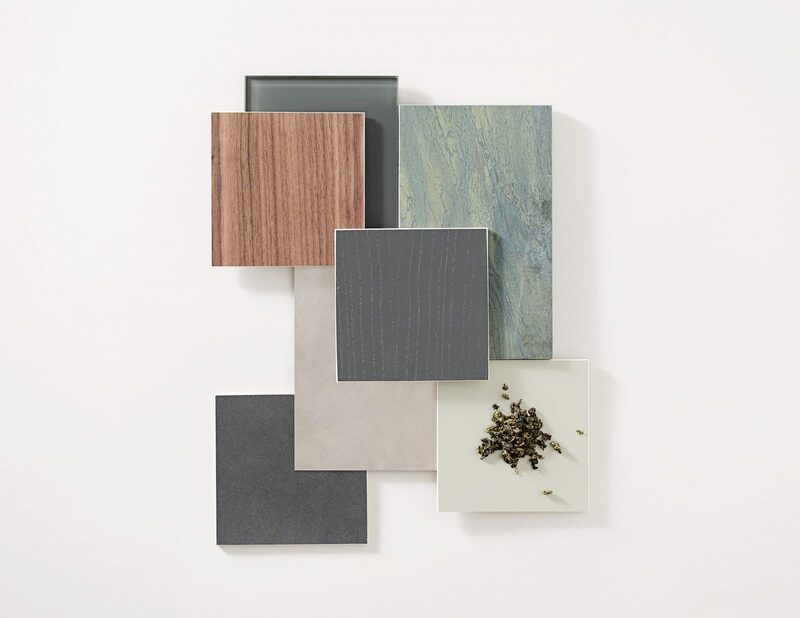 Strengthen and solidity meet embracing material effect celebrating kitchen excellence. 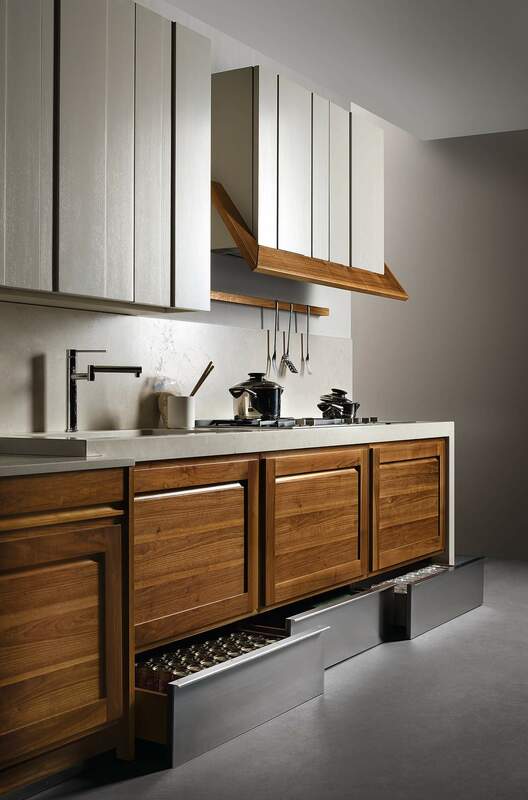 Canaletto kitchen could be matched with 3.75 storage system: the doors of the wall cabinets and tall units are realized through three different dimensions boards with three different depth dimension assembled in an irregular system. 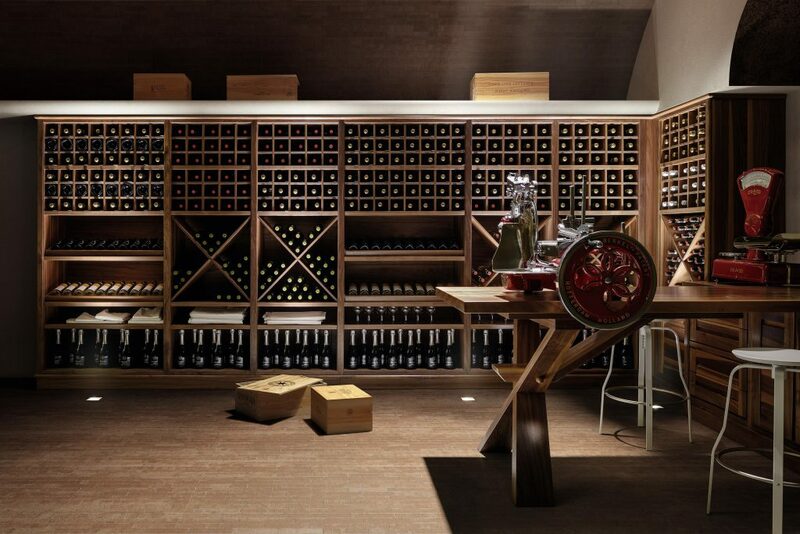 L’Ottocento is synonymous of style and functionality: thanks to the steel drawer system, the plinth of Canaletto model becomes a storage space. 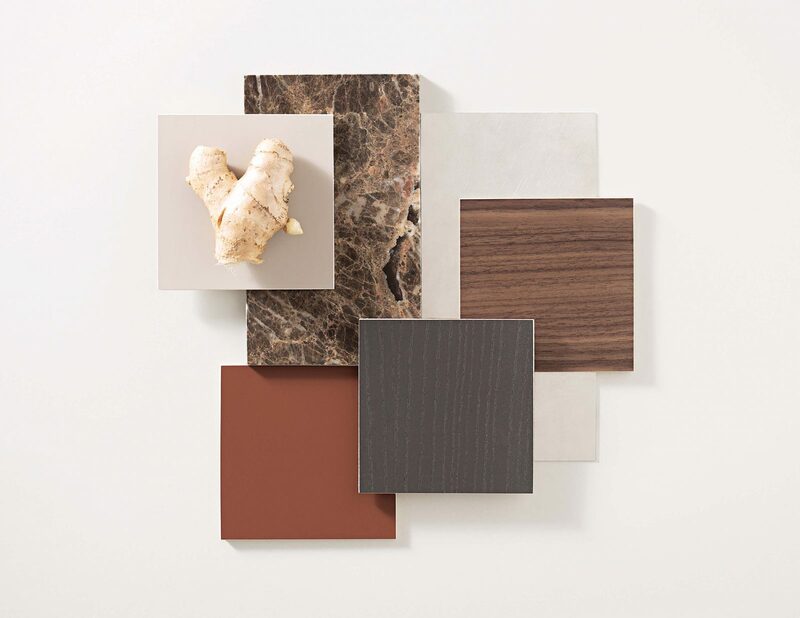 In a balance of aesthetic harmony and technical care every detail meet practicality in the kitchen.